Looking for mini storage in Edmonton to rent? Call StorageMart at 780.447.3085 or visit 10710 214 St NW. First month free on select units, get an instant quote online today! 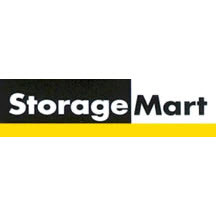 When looking for clean, fast, and easy solutions to your storage needs, StorageMart offers you the options you need to solve your individual need for extra space. Our convenient drive up self storage units make moving day hassle-free. Simply pull your moving truck or trailer right to your storage unit door and quickly unload from 6am to 10pm gate hours. With our easy month to month leases you are never locked into a long term commitment.